Rainbows Under Moonlight is now Kpo Kia mama! This blog is having a new blog name now~ It’s no longer “Rainbow Under Moonlight”. Kpo: also known as Kay poh or Kaypo, nosey parker or busybody. Mama: means mother of course! So what’s about the new name? 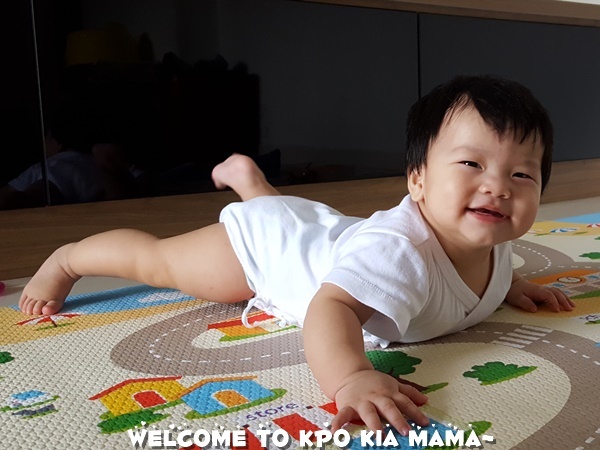 Ever since my kpo kia is borne, my mission is no longer just enjoying my life to the fullest – my mission is live our life (Miss Kpo, Mr G, and me!) to the fullest. Life is amazing, babies are creative little people who is constantly behaving out of our expectations. Miss Kpo is one who is ‘pattern more than badminton’, G and I are constantly trying to understand her better by looking things from her perspective, and imitating what’s she is doing. So yah, from today onwards, my blog will be focusing more on Miss Kpo and my parenting journey. At the same time, I wish to view everything from a new perspective and with more curiosity, like a baby.